Fashion Polish: Color4Nails Halo Powder swatches & review! Color4Nails Halo Powder swatches & review! I'm back today with a quick post featuring the new Color4Nails Halo Powder. If you're unfamiliar with loose holographic or chrome powders, which are both a big hit right now, see you after the jump for my thoughts on this particular product. 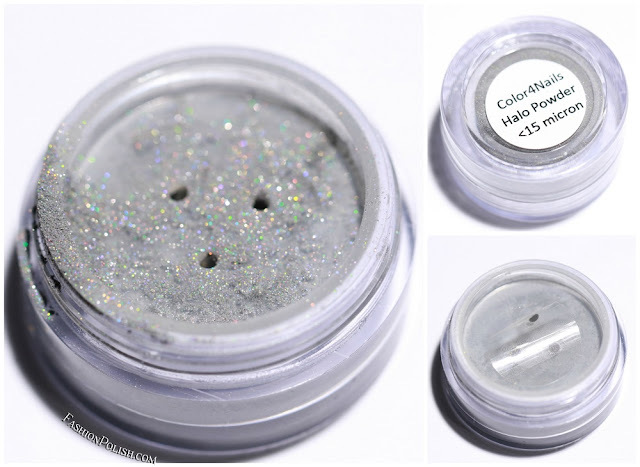 Color4Nails Halo Powder is a loose 15 micron holo pigment that comes it a 2g cosmetic jar. I used the Halo Powder over Duri Rejuvacote and topped it with Gosh Fix Base Coat / KBShimmer Clearly On Top. I looove how dramatic the holo flame looks with this loose powder. It requires more work than regular nail polish but the result is definitely worth the hassle! The Halo Powder is currently in stock at Color4Nails.com and retails for $10. Make sure to follow this link for instructions on gel nail polish. 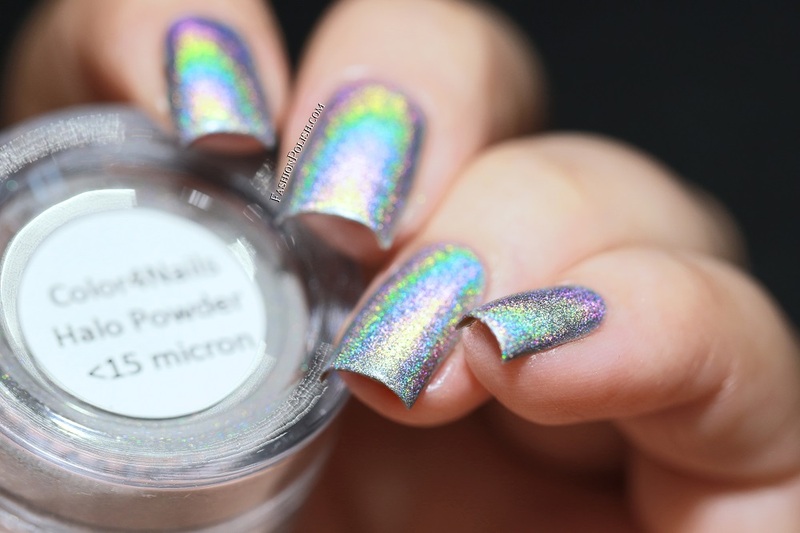 Have you tried loose holo or chrome powder? Did you easily get the hang of it? Did you enjoy the result?